The first and most important rule of Freediving is never freedive alone. As with Scuba Diving, it is vitally important to have a buddy to dive with for the sake of safety. Although freediving has a reputation amongst the public as dangerous, it is a safe sport when the proper guidelines are followed. Whether you are training or just freediving recreationally, proper safety is a must. So why do some people continue to solo freedive? I do not have a buddy – This can be a real problem for many freedivers. It is already hard enough to find a training buddy, never mind when you go on a vacation and just want to explore a coral reef that is 5+ meters deep. Your family or friends may not be freedivers, and there is even less of a chance that some stranger on the beach is.  Sites like Freedive Earth and our own DeeperBlue.com Forums can help you locate a potential freediving buddy near you. I know my limits – Yes, we know our personal bests. We know the depths, distances, and breath hold times that are easily achievable. But even the slightest changes to our diet, health, or diving conditions can affect these limits that we are so absolutely sure of. 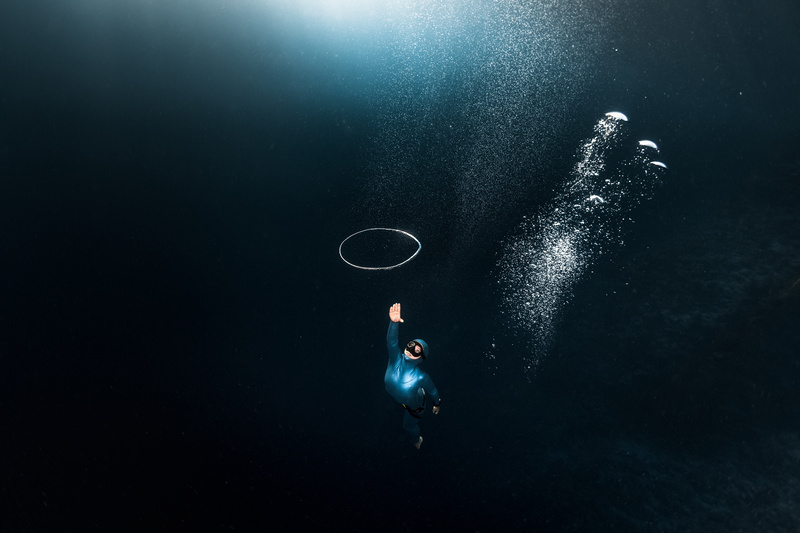 There are plenty of stories out there of experienced spearfishers and freedivers that are competitors and professionals, yet still, blackout when diving nowhere near their personal best. I am just doing easy dives – Easy dives fall within the “I know my limits” category. You could be diving not even a quarter of your personal best time, but as mentioned above, the slightest changes can make those “easy” dives not so easy. There are plenty of circumstances, which we will discover below, where depth and breath hold time make no difference in safety. Why should you NEVER freedive alone? Blackouts occur at any depth, even at the surface, and can affect anyone at any time, whether you are an amateur or a competitive freediver. There are many factors that influence an oncoming blackout, including carbohydrate depletion due to prolonged exertion, deliberate or accidental hyperventilation, or blackouts due to the change in partial pressure of oxygen in the lungs during ascent. No one is able to predict when they will occur, and just because you are experienced, it does not mean that you are immune to them. There are usually no signs of an oncoming blackout, so it is not likely you will see one coming and be able to rescue yourself. Blackouts can be and usually are fatal when experienced alone due to drowning, but with a buddy to bring you to the surface and keep your airways clear, the chances of fatality decrease immensely. 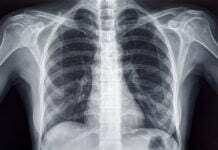 Typically, freedivers think that lung squeezes, or pulmonary barotrauma, occur at deeper depths due to the lungs reaching their residual volume, but that is not always true. When lung squeezes occur in shallow water, with some occurring as shallow as 4m (13 ft), it is usually due to repetitive dives with shorter surface intervals. With how potentially painful and dangerous lung squeezes can be, your freediving buddy is essential to help you to the shore and monitor you. Depending on where you freedive, boats are capable of turning your dive into a horrific disaster. For boat captains, it is already difficult to see where they are going and what is in the water, depending on the type of boat they are operating and sea conditions. Even lone snorkelers at the surface can be at risk. But you are at even more of a risk if you are mid-dive, completely alone, and a boat arrives in your vicinity. Having a diving buddy helps prevent that with the “one-up, one-down” rule, and their presence will help deter a boat from passing directly over you. Currents have the potential of making recreational freediving less safe. Whether it impacts your breathe-up or forces you to exert yourself more staying in one place and fighting the current, the risk of becoming exhausted early and accidental hyperventilation rises. Vertical currents are another danger to freedivers since they have the ability to drag you down no matter how hard you kick. With the extra risks and impacts that currents have on your freediving, it is essential to have proper safety in case things go sour. With the presence of stray fishing lines and nets at depth, it is not unheard of to get a part of your body or equipment entangled. This is the main reason why some freedivers always dive with a diving knife attached to them. If you do not carry a dive knife with you, or panic and cannot free yourself, your buddy should be able to spot this and come to your aid. You cannot rely only on your ability to take care of yourself because when panic sets in, even the most rational of us can turn irrational. Cramps can affect you in any part of your body. In a pool, the surface is usually close, but at depth? Swimming with one fin is already extra work, and when you add stress to the mix, it takes away any control you have over your breath-hold. Utilizing a proper buddy can help you ascend with a cramp, stretch it out, and also help tow you back to shore if it is particularly long-lasting and painful. Even with all of the reasons listed above, there are freedivers who continue to choose to freedive solo. There are a staggering number of stories that are recounted by spearos and the friends and family of those who freedived alone and never came back. You are now an informed freediver. You are responsible for your body and your health; no one else. It is up to you to make the ultimate decision: will you train or explore the underwater world alone and leave your well-being up to fate? Or will you wait to dive until you have proper safety, and keep your loved one’s minds at ease? Do you have any other reasons to avoid solo freediving? Leave them in the comments and create awareness! Freedom could sometimes demand disregarding of guidelines 🙂 If you go to the abyss alone, you probably know the risks. And then it`s ok. Your choice, your´s freedom. Your´s way to let the destiny to decide. Of cource, ignorance about the risks is not freedom. Hi Janne! If the person is fully aware of the risks that they are taking by freediving alone, then I have no arguments over them doing so, of course. Their lives, their choice. The problem that I see is that too many people freedive alone and do not correctly understand the risks. They use the excuses above and forget that even seriously experienced freedivers have died alone or would have died had it not been for their safety. 50+ years of scuba and free – diving in rigs in poor vis is basically diving alone – by the time you go missing no funeral will be required, they wont find you. SOLO DIVING is a fact of life, as old as human kind. It is something every freediver does every now and then, have you as a diver seriously never ever made a dive without someone watching over you? Offcourse you have! Some deny it to avoid getting scolded. But even the diving instructors that advice against it technically dive solo on the first day they take out a fresh unskilled student. Instead of cutely stating “Never dive alone” (while we do it our selves and know most of our students eventually will) we should add solo diving as a chapter to our training, we shoud inform divers of the dangers but also speak about how to do it at minimum risks. Let’s not witch hunt solo divers and force them to do it in secret, lets keep the topic open so divers can learn from each other and share their experiences. There will always be solo divers, let’s take care of them. Hi Jeroen! Yes, I have dived alone before, until I did the research and realized how reckless and dangerous it is. Now I never freedive solo. I don’t believe that there is a way to freedive solo with minimum risk. You can still do everything right, like staying within your limits, and still have a shallow water blackout. Many people who have blacked out while diving recreationally said that they did not feel it coming at all, and were lucky that their buddy was there. Many people also blacked out while they were solo freediving and died. This is not a witch hunt, this is merely expressing the dangers and risks associated with solo freediving. In the end, it is up to the individual freediver what they decide to do. But then they are taking that risk upon themselves, with no one to blame but themselves. There is no 100% safe way to freedive alone, so I am with you on teaching divers the risks, but since there is no safe way to do it, I would be giving them false advice on freediving alone with minimum risk. Hi Dave! I’m already a little familiar with ectopic arrythmia, but I had no idea that it affects such a high percentage of freedivers! Definitely need to do some further research on this. Thank you for the information! It is important to point out the risks of solo freediving. Knowledge is important & essential. Thanks for this Kris. What bothers me a bit, is that you say that it is unaccountable to continue solo freediving with that knowledge. In life you will always take some risks in one way or another. In most cases you even will not be aware of these risks in your daily routine. Believing to have control about death is an illusion. Maybe you live longer staying at home and never go out. But on which costs? Which risks are “acceptable” will always be a very individual decision. Nowhere in the article did I write that it is unaccountable to continue solo freediving with that knowledge, I simply stated that now the reader has full knowledge of the dangers of doing so; what they choose to do about it is up to them. I personally don’t freedive solo, and I do advise others to avoid it, especially my students. You are definitely correct, “acceptable” does vary from individual to individual. I just want freedivers to be aware of all of the facts so that they can make an informed decision, whatever it may be! Thank you for your comment!